There are plenty of opportunities out there for young farmers thinking about getting a foothold in the sector. John O’Halloran works for dairy farmer Paddy Nihill in Puckaun, Tipperary. He is also studying for his green cert in Gurteen Agricultural College. 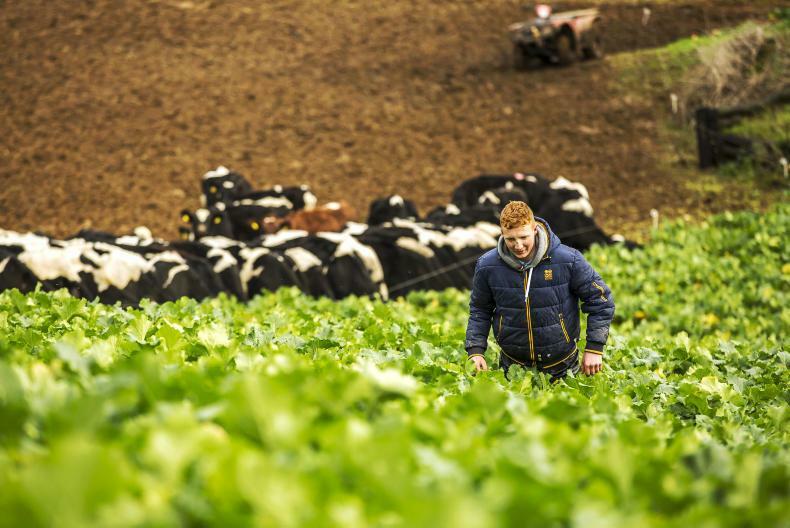 Not from a farming background, John went looking for a part-time job when he was 16 and found himself on Paddy Nihill's dairy farm. The Farming Space is one of five hubs at the Agri Careers Expo, which takes place on Thursday 14 February in the RDS. The Farming Space will focus on how young farmers can develop a successful career in farming. There are opportunities for everyone, whether it is starting off on your own or working in partnership with other farmers. Talks will run throughout the day examining options for those interested in farming full-time or those who wish to combine farming with off-farm employment. Everybody has different circumstances, but opportunities always exist. Talks will run from 10.30am until 3pm and will examine a number of topics, including what conditions employees should be looking for if they are going to work on a farm, whether that is the home farm or not. A young person coming home to the farm after college can cause a lot of conflict, as they are anxious to make big sweeping changes to the current system. Sometimes patience is required and we are going to have a panel of families who entered into partnership to see how they navigated this path. Redmond McEvoy of Teagasc will be discussing what supports are available for young farmers starting out as part of his work with the NEWBIE project. We will also explore the possibility of going contract rearing, a system that requires minimal capital invest while returning cashflow immediately, which could provide young farmers with a platform to start their farming career. As we approach CAP 2020, the general consensus is that young farmers are going to be targeted for support. Therefore, now could be the optimum opportunity to complete the green cert to ensure you qualify for future payments. We will be discussing the options for both full-time and distance learning courses on the day. The Agri Careers Expo is organised by the Irish Farmers Journal in association with Devenish. The event takes place on Thursday 14 February in the RDS, Dublin 4, and is free to attend. Register at www.agricareers.ie.